Check Out the New ODBD Designer Paper! I am such a designer paper fiend! I know a lot of you out there feel the same way. Our Daily Bread designs has just come out with some gorgeous, gorgeous paper y'all! 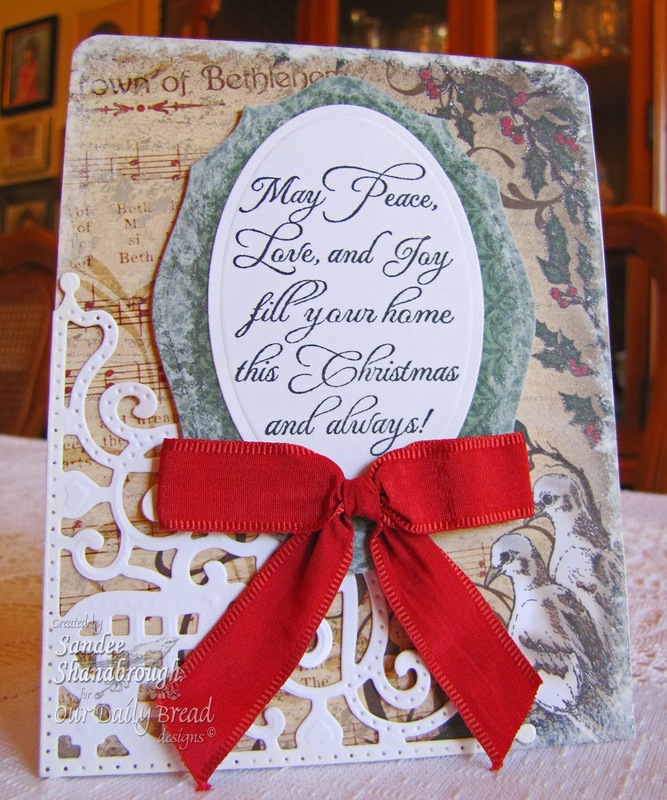 The sentiment is from the Sacred Season set and I used the ODBD Custom Decorative Corners die and the ODBD Custom Elegant Ovals die. 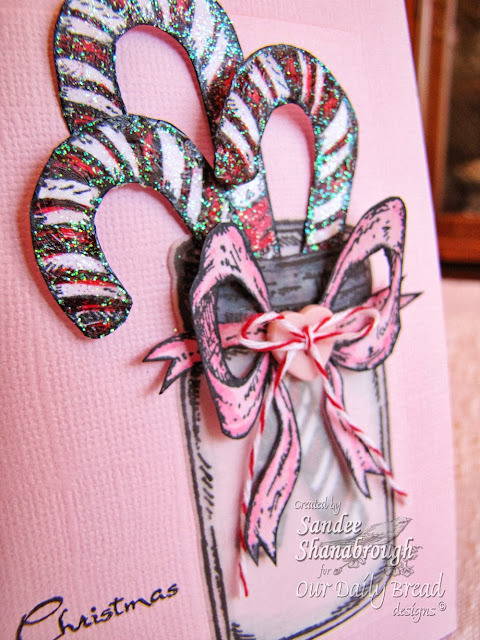 I used a paint dabber for the edges of the card and added a pretty bow to complete the card! 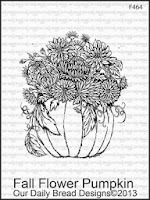 I am entering this to Word Art Wednesday challenge #103. 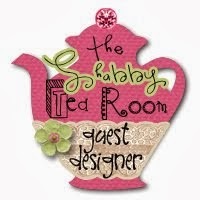 Guest Designing for The Shabby Tea Room! I am super excited that I recently won one of the challenges over at The Shabby Tea Room! What a beautiful inspiration photo! 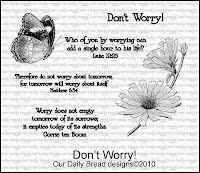 This new set from Our Daily Bread designs is perfect for this challenge! 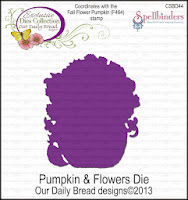 I colored the Fall Flower Pumpkin with copics and cut it out with the coordinating ODBD Custom Pumpkin and Flowers Die. 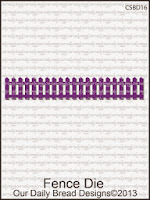 I placed the cut out image on a Spellbinders frame made with Square dies, Labels 18, and the ODBD Custom Fence die. 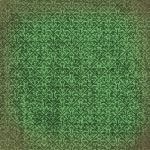 I added a little touch of burlap under the image too. 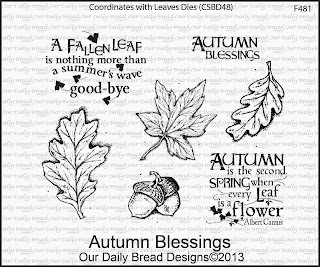 Then I embellished with leaves made with Autumn Blessings and ODBD Custom Leaves and Acorn dies and swirls made with ODBD Custom Fancy Foliage dies. 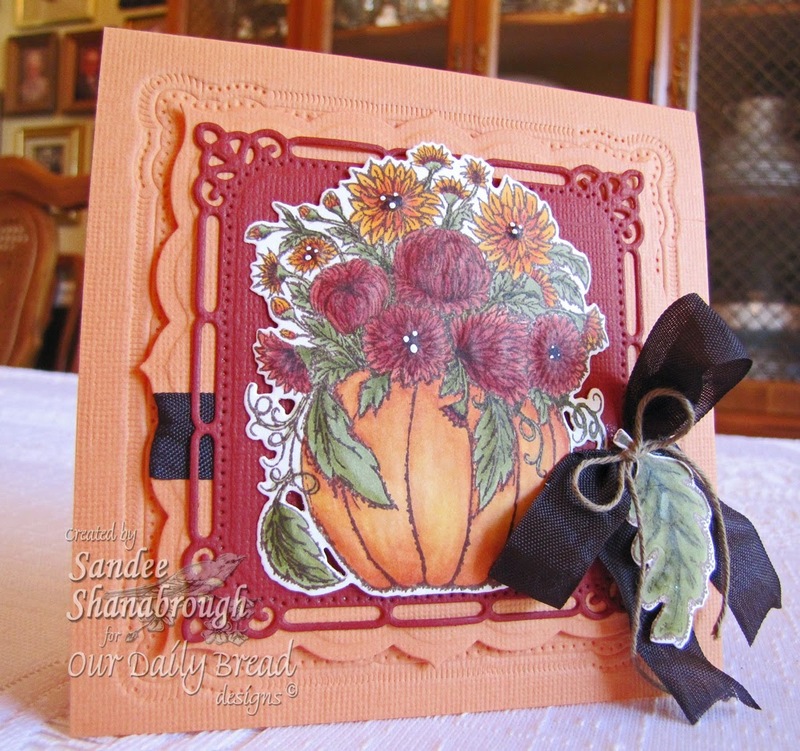 To finish the card I stamped the sentiment, cut it out with a Spellbinders Tag Trio die and tucked it under the pumpkin. Thanks so much to Debbie and the The Shabby Tea Room team for letting me guest this week! and to see all the inspired projects from the TSTR Design Team! 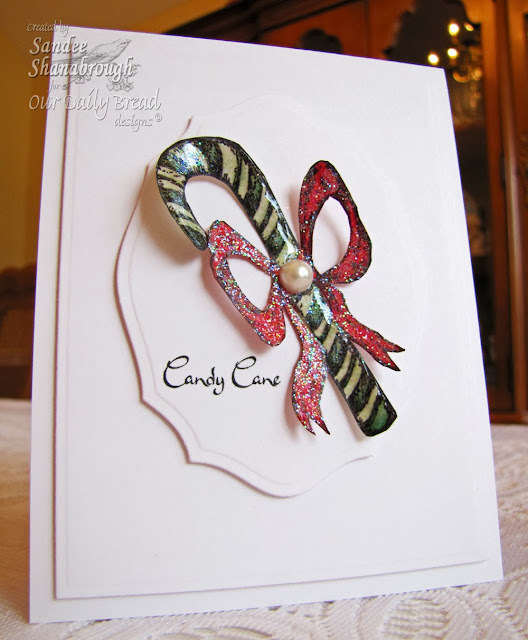 This card is for the Mixability Challenge yesterday to create a CAS card with a mixed media focal point. 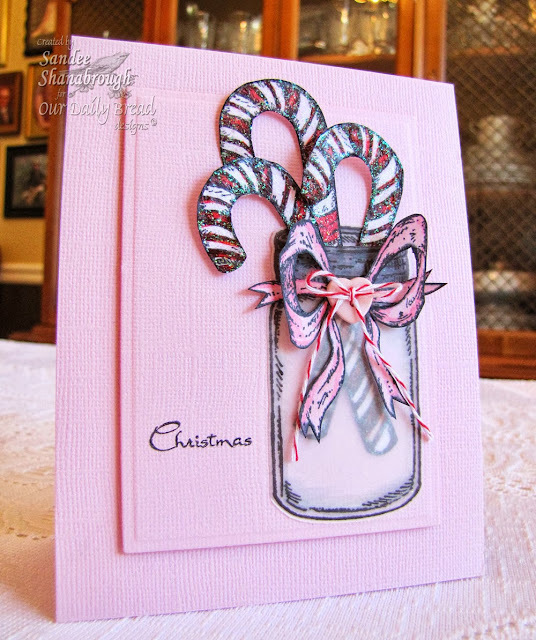 I used the new ODBD Candy Cane set. 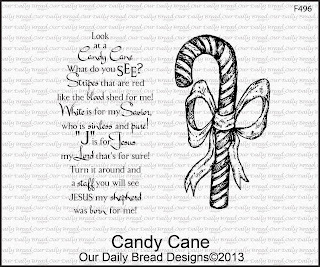 I colored the candy cane with copics and cut it out. I added Glossy Accents and glitter and let it dry. Once dried, I adhered it to the ODBD Custom Elegant Ovals die cut. I had used my SAMJ to place the sentiment. 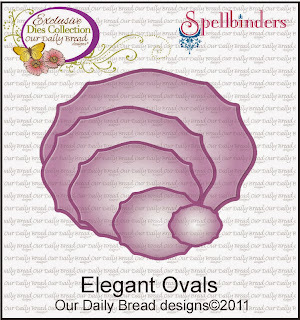 The oval image is popped up onto a layer that was cut with Spellbinders A-2 Matting Basics. And that's it! Oh and I added a big pearl too! Thanks for visiting! Have a great Saturday! A Look Back at the ODBD October Release! 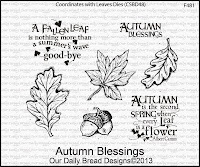 Today we are taking a look back at this month's new releases from Our Daily Bread designs! I chose to feature the new Candy Cane set! My card is clean and simple and fun! I stamped the candy cane image three times and colored with copics. I cut each one out and added a coating of glossy accents and stickles. 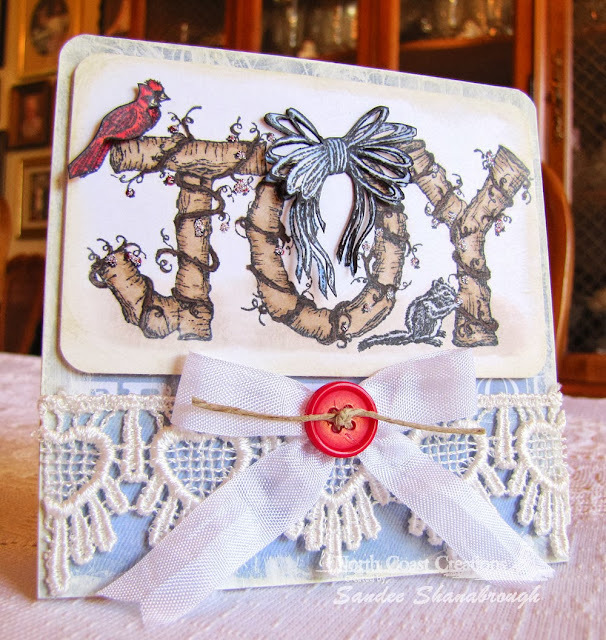 I stamped the canning jar from Blue Ribbon Winner onto vellum and cut it out with the ODBD custom Canning Jar Dies. 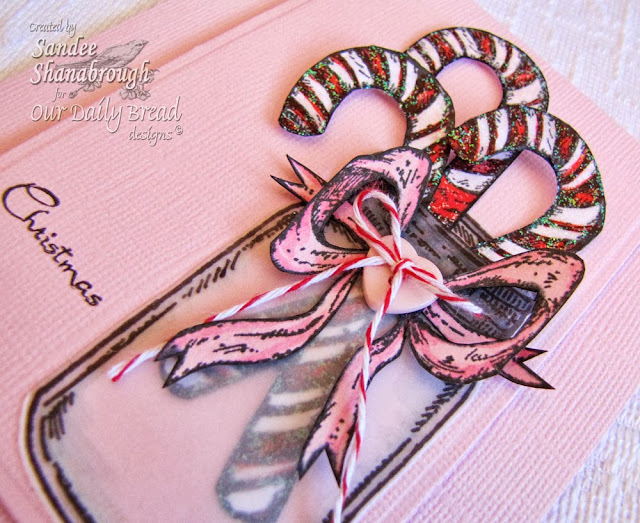 I colored lightly with copics on the wrong side of the die cut vellum jar and used a X-acto knife to trim a space for the candy canes to slide through. I stamped and cut out two more images to color and cut out the bows. I used only the tails of one of the bows to go 'around' the jar. I added a cute heart button with red twine to the bow. I masked the sentiment and used my Stamp-a-ma-jig to stamp it nice and straight. 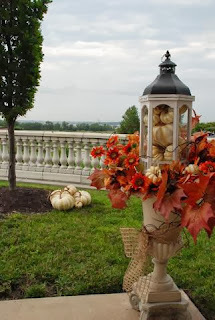 For more inspiration using the October releases, be sure to visit the ODBD Blog and my DT sisters! Hi there! Hope your day is going great! 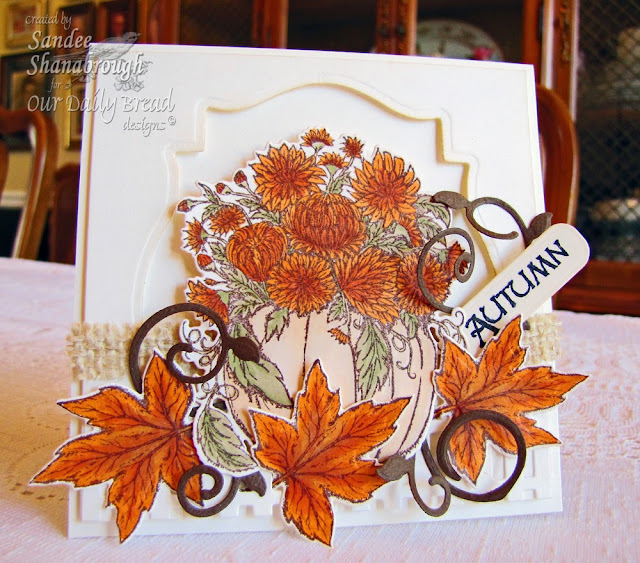 Here is a card I made with the new Fall Flower Pumpkin and Autumn Blessings sets from Our Daily Bread designs! These sets are beautiful but one of the best things is that there are coordinating dies for them!!! The images are colored with copics. 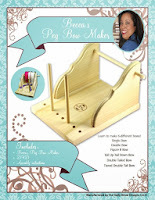 I made the bow with Becca's Peg bow Maker. 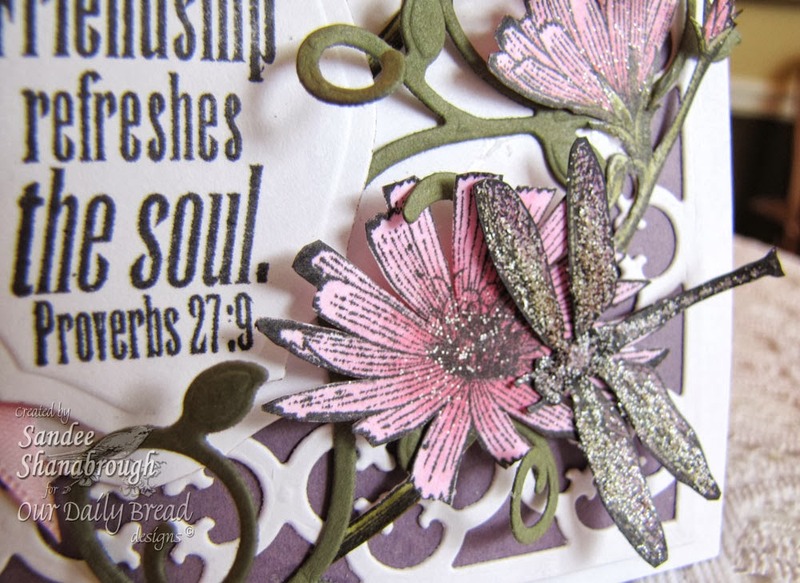 The background layers and embossing are all done with Spellbinders dies. Thanks so much for stopping by! See you again soon! North Coast Creations October Releases! 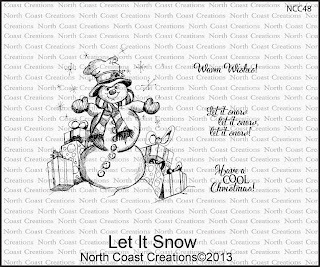 Good morning and welcome to the North Coast Creations October New Releases! We will be choosing 2 winners who will receive a $10 gift certificate to the store for stamps just for commenting on our Design Team cards! 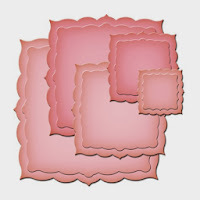 You have until October 17, 2013 at 10:00PM EDT to make a comment on each of our designers blog posts. 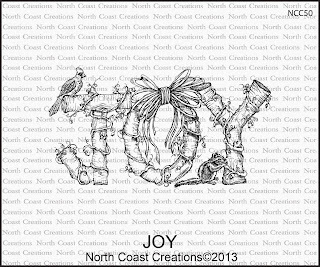 Our 2 random winners will be announced on the North Coast Creations Blog on October 18, 2013. You can see all of the October Releases Here. My first card features the Let It Snow set! Such a fun image to color! After stamping the image I cut the whole thing out very carefully and included some extra white space at the bottom for snow. I used a black copic marker the outline the extra snow as well as some spots of the image that got cut too close. Then I colored him up with more copics. 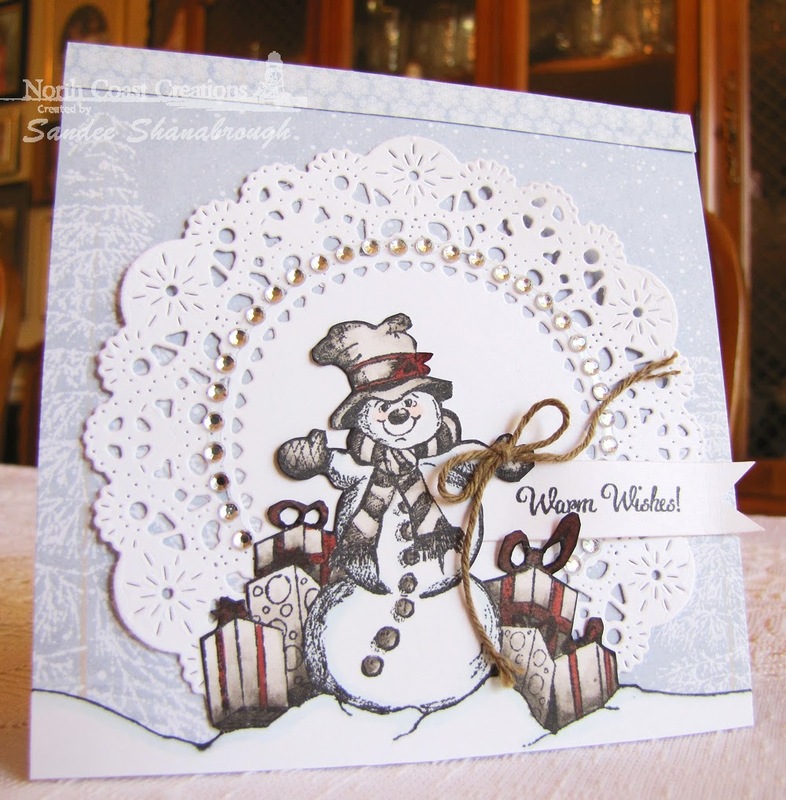 I layered the image over some pretty designer paper and a Cheery Lynn French Pastry Doily. 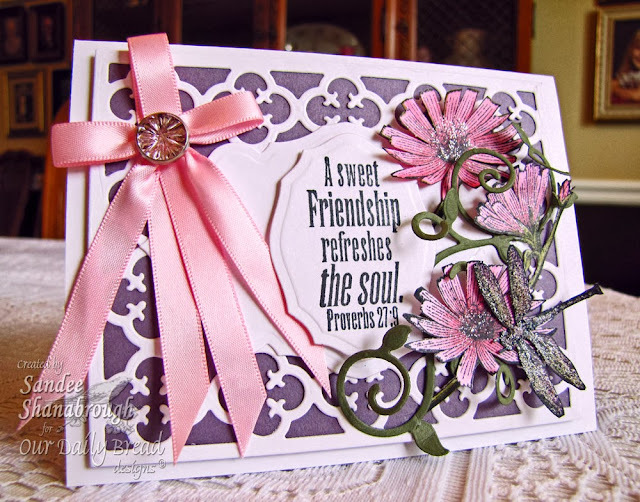 I added lots of clear rhinestones to the doily and tucked the sentiment banner under the image. I added a little bow to complete the card! This card features the JOY image which is also fun to color. After coloring the image with copics, I stamped it again, colored another red bird and blue blow and cut those pieces out to have a little dimension to the card. The edges of the designer paper and the image panel are lightly painted with white acrylic paint. I made a pretty seam binding bow with Becca's Peg Bow Maker and glued it down onto the lace along with a button threaded with twine. There is stickles on each red berry too! Here are links to my DT sisters as well as the NCC Blog! What a beautiful time of year! I love seeing the colorful autumn leaves falling, and feel the cool crisp mornings. Summer is waving good bye! Here is a card I made using one of the new October releases from ODBD called Autumn Blessings. 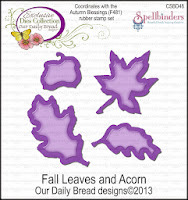 I stamped the leaves onto musical designer paper and cut them out with the ODBD Custom Leaves and Acorn Dies. 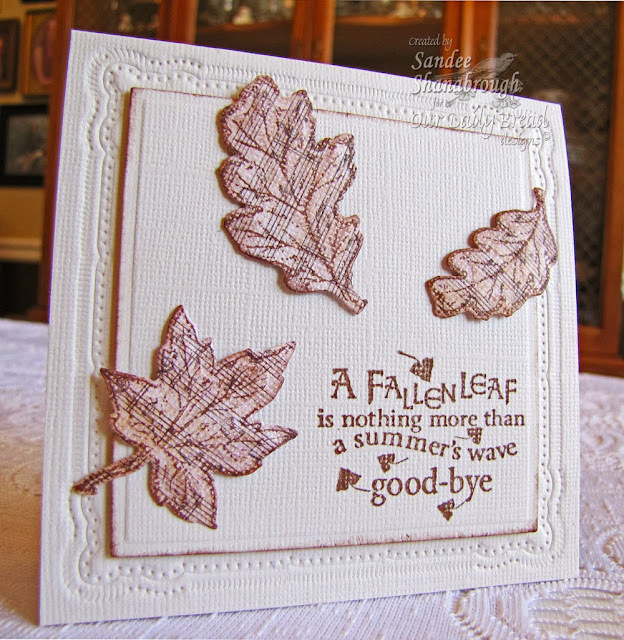 I did a little sponging on the edges of the leaves and on the Spellbinders Square. The base card is embossed with a Spellbinders Marvelous Square die. I used a Stamp-a-ma-jig to help get the sentiment straight. And that is it! Clean and Simple! Thanks so much for stopping by! Have a wonderful weekend! Good morning! So excited to have you with us today! We are celebrating the birthday of our very own Kelley! She is truly a wonderful person and I am so honored to have had the privilege of being on her team these last few years! 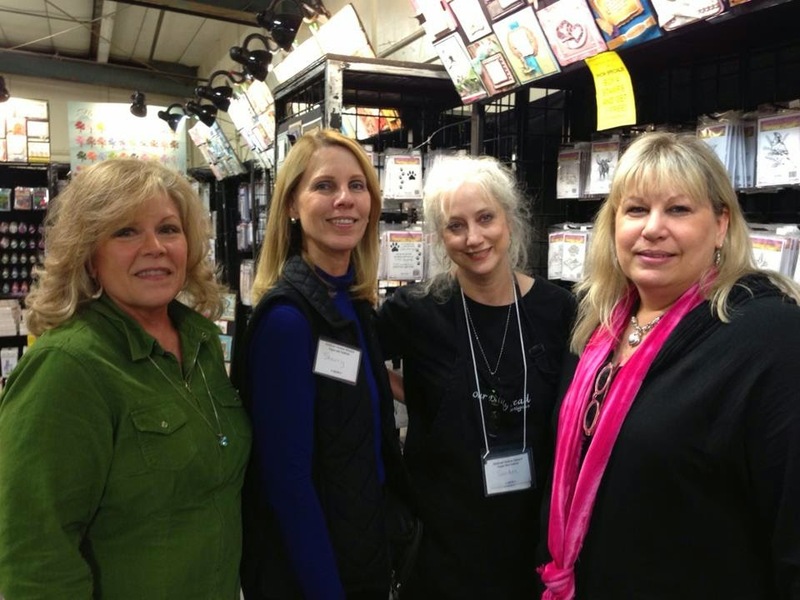 Here is a photo taken at the Heirloom Rubber Stamp Show in February of this year here in Georgia! Kelley loves pink and purple and dragonflies! 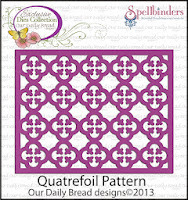 The purple background has an overlay of the ODBD Custom Quatrefoil Pattern Die. Then I colored the images with copics and cut them out. 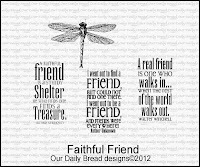 The images are from Faithful Friend and Don't Worry. 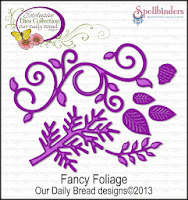 The dragonfly image has stickles on it and is attached to the flower and swirl from the ODBD Custom Fancy Foliage Die. 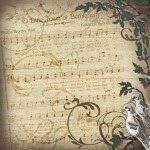 The scripture is cut out with ODBD Custom Elegant Oval and is layered over the ODBD Antique Labels and Borders Die! 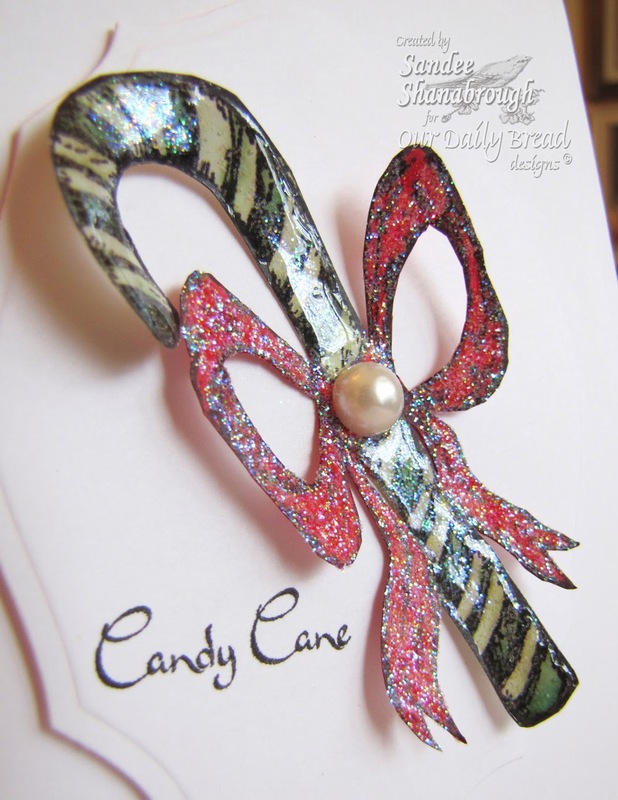 I made the pretty bow with Becca's Peg Bow Maker and attached a pink brad I found in my forgotten stash of goodies!